Family law issues can be as complex as they are emotionally draining. With the potential for personal assets, the custody of children and other important parts of your life to be at risk it’s understandable that you want the best legal advice possible. Like with most areas of law, there are a large amount of practitioners with different levels of experience and expertise. While all family lawyers will cover similar issues, it’s important to make the right choice in order to give your goals the best chance of success. Let’s take a look at some of the most important questions you should be asking before hiring a family lawyer. Before you start grilling potential lawyers on their qualifications, it’s best to ask yourself what you want out of the process in the first place. Are you filing for divorce? Are you seeking advocacy in court for property settlement or child custody? After all, knowing what you want is the first step in making sure you get it. Don’t leave anything to chance; make sure you know what the legal outcomes you want are so that you can clearly communicate them to your lawyer. What is the lawyer’s expertise? Many lawyers will say that they deal with family law, but not all of them will be family law specialists. Depending on your goals and the severity of what’s at stake, you might not want to settle for the average lawyer who deals with family law amongst other matters. A lawyer who is an expert in family law will have a special accreditation that qualifies them as such. They will be a professional in family law who routinely deals with cases similar to yours and knows how to navigate the legal landscape of the issue. This is important because you want to make sure that your case is being handled by the lawyer or lawyers you are seeking expertise from. The last thing you need is to find out your case has been passed on to a junior associate because you failed to ask in your initial consultation. It’s not necessarily a bad thing if other lawyers work on your case but you need to make sure you know ahead of time. 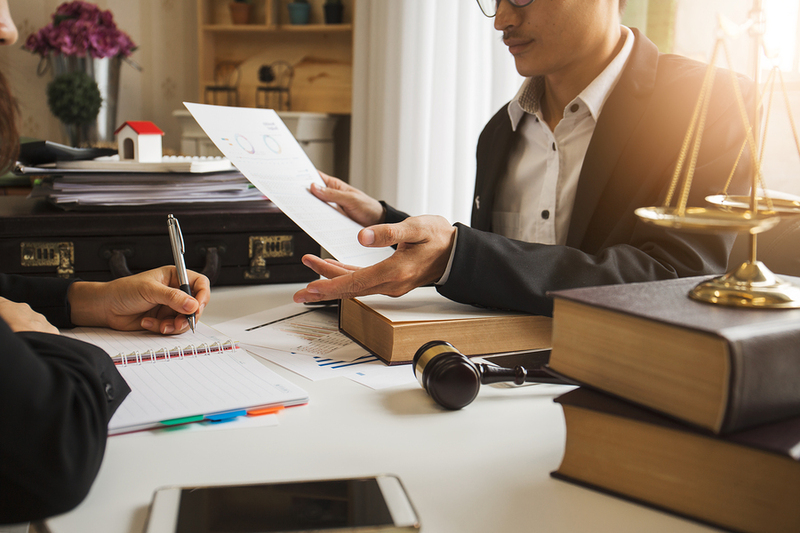 If the lawyer you are paying for will primarily correspond with you via a paralegal, it’s important to know this so you can streamline the process of getting in touch with them. What does the lawyer expect for your case? An experienced family lawyer should be able to make a number of broad judgements from the facts of the situation you present to them. Ideally, they can make some general statements about reasonable expectations and possible paths forward. It’s important to be cautious of a lawyer who promises they will achieve everything you hope for. If it sounds too good to be true, it probably is. Family law cases, more often than not, end up in a compromise between parties or a compromise decided by a judge. A lawyer’s role will be to help ensure you reach the best possible compromise you can. Above all, you must remember that you are soliciting legal advice and not concrete answers. No lawyer can make 100% accurate predictions and if you expect that you will end up disappointed. What problems does the lawyer see with the case? It’s very rare that a legal case can be considered perfect and this is even rarer in cases of family law. A reputable lawyer should be able to honestly reveal any problems in your case that jump out at them. Having a problem with your case doesn’t mean it will sink, it just means there is something to correct or work around. A good lawyer should be eager to begin problem solving on your behalf. Finding a good family lawyer requires getting honest answers to meaningful questions. It also requires having foreknowledge of what your legal goals are and how realistic they are. You should never settle for a lawyer you’re unsure of or uncomfortable with. A lawyer is meant to be a professional adviser and advocate for your interests, so making sure you have the right one is essential in securing the outcomes you want.